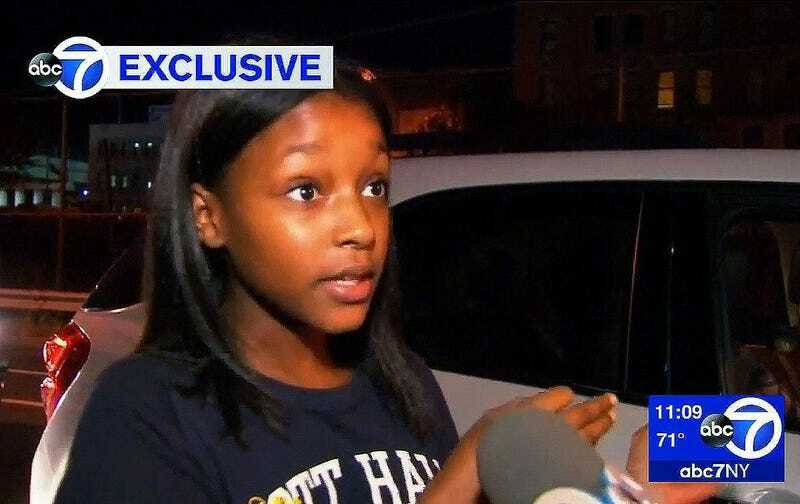 Anfernee Olivo, 19, shot a BB rifle from the rooftop of his Bronx, N.Y., apartment Wednesday afternoon, striking a 10-year-old girl who was sitting in her classroom at the school next door, the New York Daily News reports. Lia Urena, 10, was hit in the forearm while sitting in her classroom on the fifth floor of Mott Hall Charter School. The shooting occurred around 2 p.m.
“The first shot that he did, everybody started running, but I tripped on the floor, and when I tripped on the floor, he hit me on the hand and he shot me," said Urena. According to the Daily News, Olivo was arrested soon afterward and charged with felony assault, criminal possession of a weapon and reckless endangerment. Lia's parents as well as United Federation of Teachers representatives arrived at the school shortly after the incident.